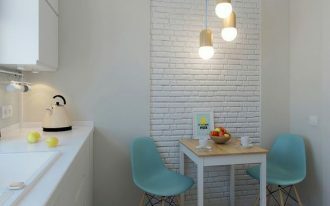 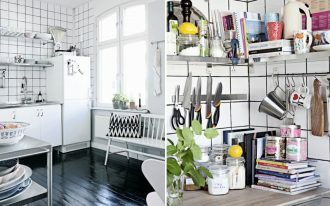 Home » Kitchen » Classic Meets Modernity? 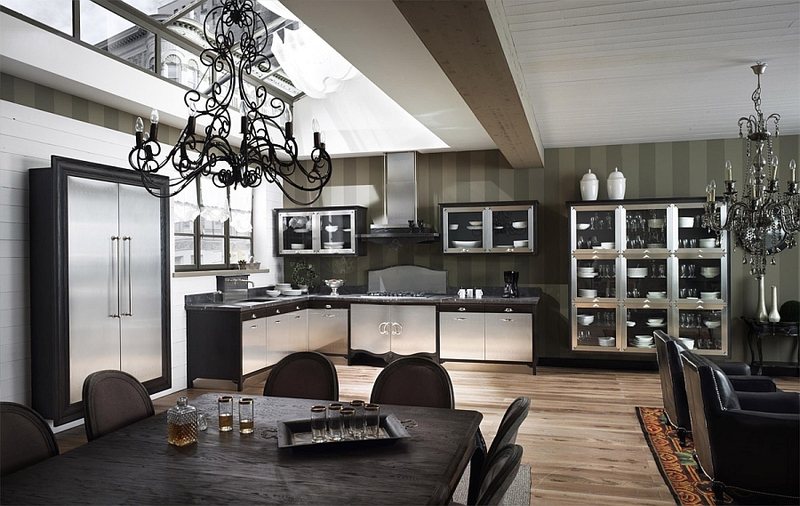 This Kitchen Design Has It All! 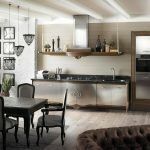 While in modern kitchens, minimalist style with simple and sleek touch boss the show, Marchi has come up with remarkable concept about how modern kitchen may seem to be. 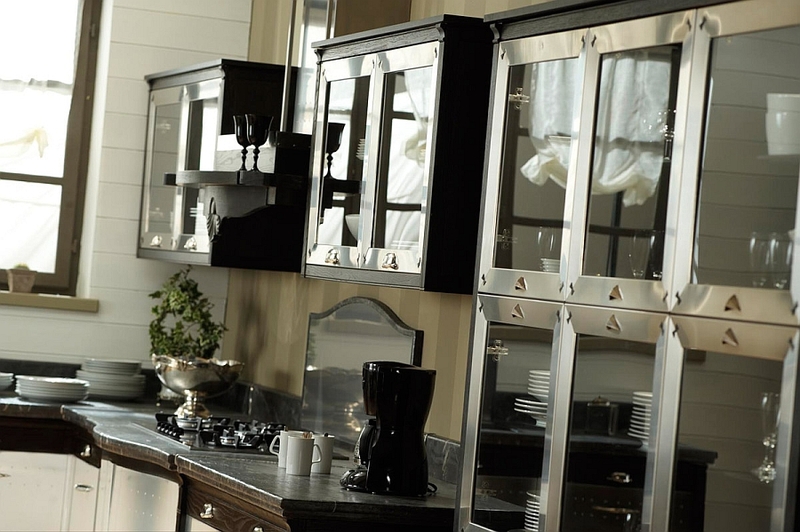 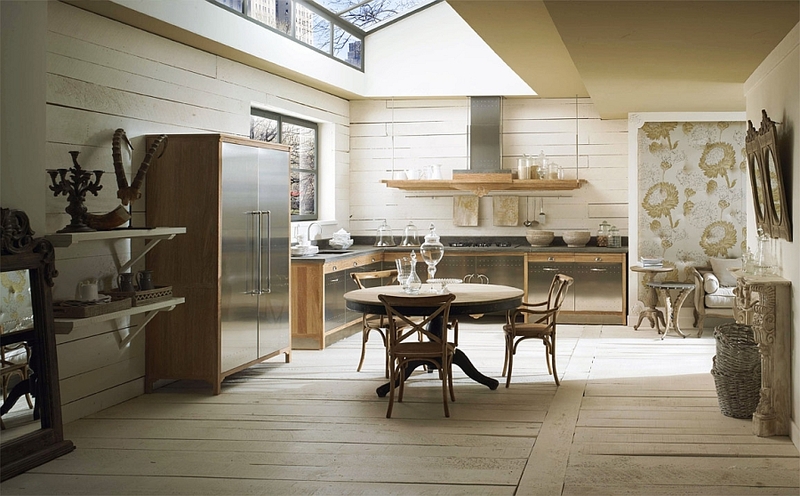 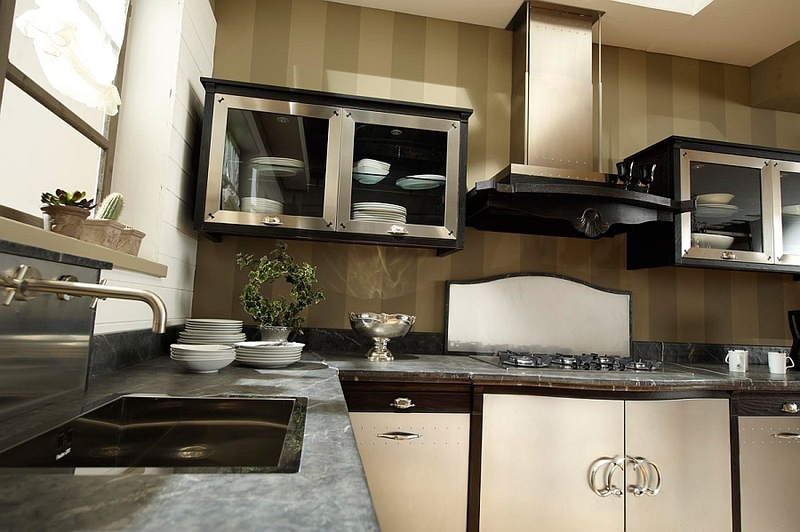 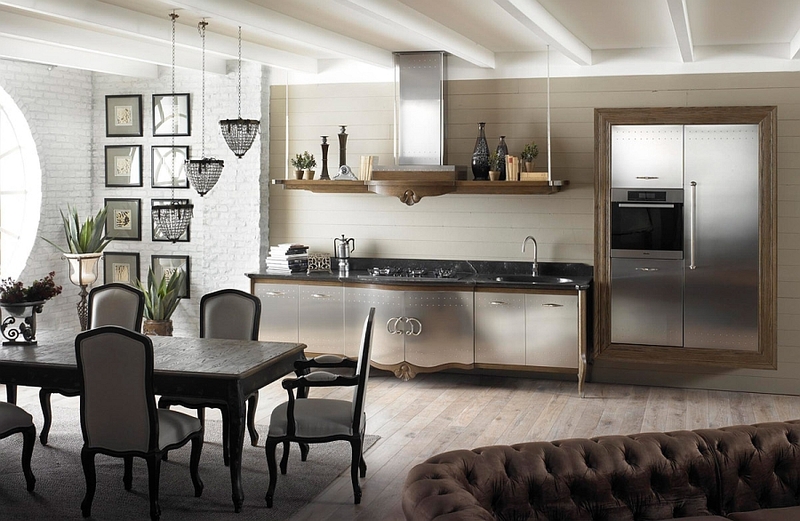 Bringing out their feature Dechora Kitchens, the designs are absolutely eclectic and grabs the spotlight. 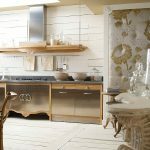 Its exclusive style presents classic meets contemporary texture, or the company labels it ‘New Classic’, in such proportional collaboration. 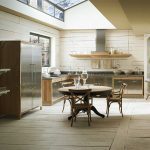 This collaboration is added with a slight natural tone that eventually gives birth to exclusiveness and captivating vibe. 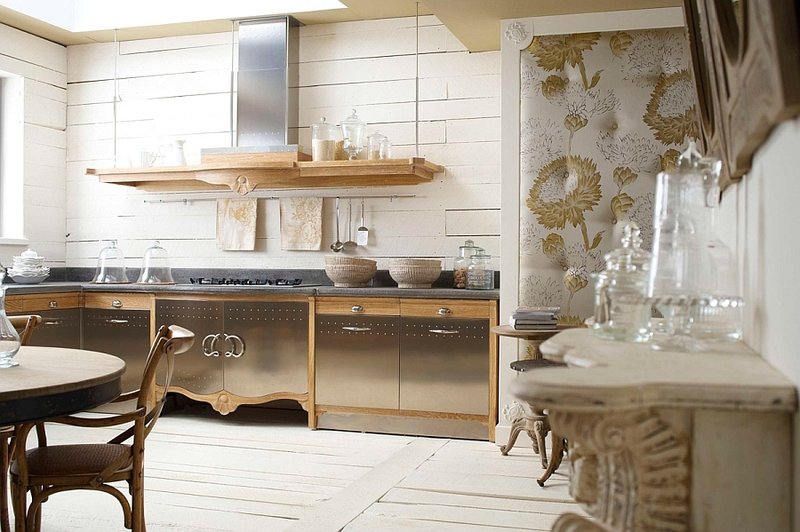 The Dechora Kitchens are dominated with white painted solid wood that functions to be its floor and wall and the striped wallpaper. 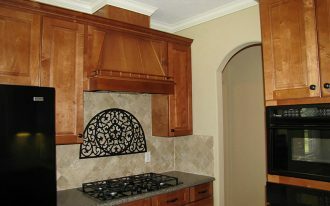 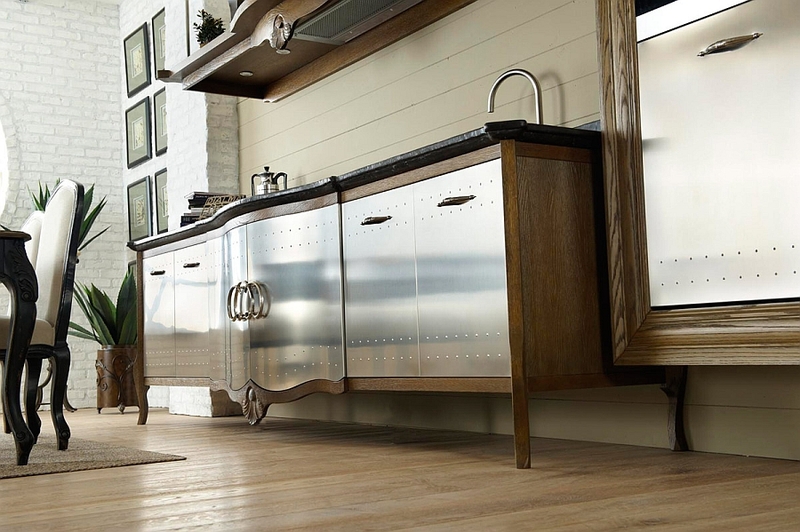 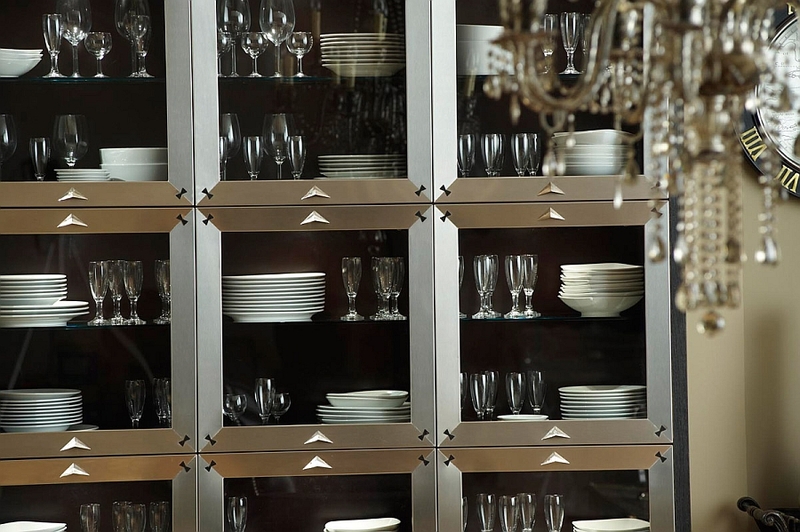 The urban elements pop up slightly to give special touch in the kitchen storages, cabinets, and the smoke sucker. 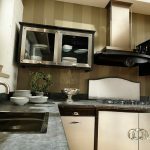 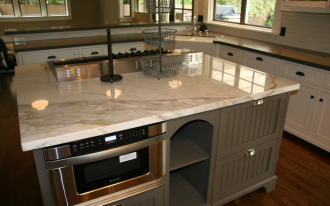 As for the kitchen countertops, the company uses marble and opus signifium. 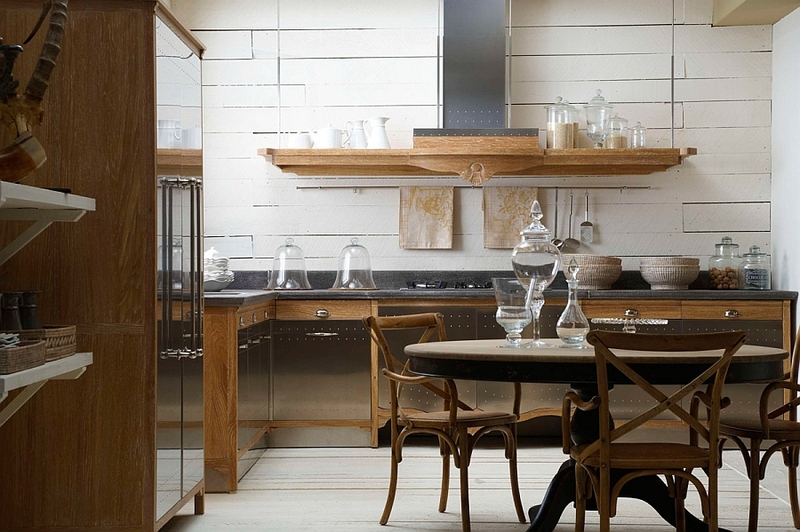 A classic wooden dining set is placed in the middle of the space for easy access and other vintage items are also showcased, such as the classic kitchen shelves as well vintage mirrors. 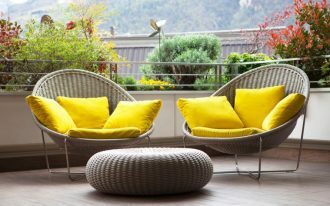 The decorations that fill the space also plays role in creating exceptional yet trendy view. 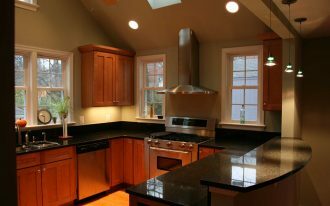 All of the kitchen appliances as well as the ornaments are carefully picked to match the color tune and offset the overall look. 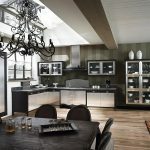 Color variations displayed in the kitchen design include silver, decape Oak, black steel and stainless steel to offset the whole design. 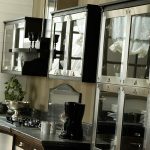 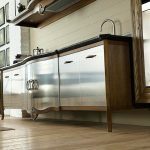 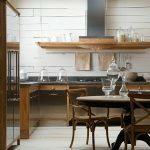 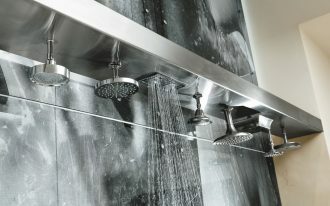 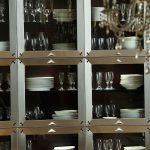 Metal element also complements the design, making the kitchen showered with sundry styles: industrial, modern, or even classic one.